Purefecto: Is that a Rolling Stone Bomber Jacket? There's no doubt that Hedi Slimane was inspired by Rolling Stone for Spring 2014 collection. 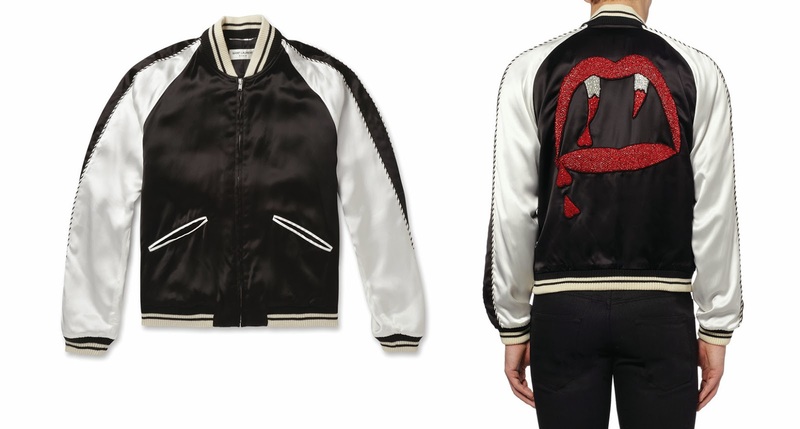 I love this Saint Laurent Paris Black Sequin Embroidered Viscose Bomber Jacket. A bit flashy really but a nice statement piece nonetheless. I always think a person needs one in your face piece every season and this bomber jacket is definitely it IMO. Mr Porter.